What are the vision requirements to get a DOT medical card? What if I have monocular vision? Can I wear contact lenses to do the vision test? What if I have had laser eye surgery? I am legally blind in one eye from an injury? With documentation from my eye specialist can I pass the DOT physical? I need to obtain a vision waiver. Where can I get the forms? I have 20/20 vision corrected, right eye. 20/200 uncorrectable in my left eye, 70 degree plus horizontal left and right. Does this fail the DOT physical? I’ve been a CDL driver for 16 years. Last week, for my DOT physical the doctor made me do the color test from a book with numbers and dots. I could get only half of them right. I have always been able to see the colors red, green and amber and pass my DOT physical. Now the book test has made me fail the color portion of the DOT physical. What’s going on with this? see at least 20/40 with the left eye. Monovision is a disqualification. Use of a contact lens in one eye for distant visual acuity and another lens in the other eye for near vision is not acceptable, nor are telescopic lenses acceptable for driving a commercial motor vehicle. Exemption: A driver with monocular vision may be able to get a Federal Vision Exemption Certificate, if medically fit for duty in all other categories of the physical exam. If you pass all other aspects of the DOT physical, and you meet all vision requirements in the functioning eye, then you may be considered for a Federal Vision Exemption. You are permitted to wear contact lenses provided you’re used to wearing them and have a good tolerance for wearing contacts. Be aware that monovision is a disqualification, so use of a contact lens in one eye for distant visual acuity and another lens in the other eye for near vision is not acceptable. Provided you meet the vision requirements, you should have no problem. This type of injury will require documentation. If you are going to drive only within your state borders, it will be easier. Just check with your DMV to see what the states rules and regulations are. To pursue an interstate medical card will require an exemption that you can only get from FMCSA. Check out the requirements to determine if this is something you want to pursue. It is possible, but a bit tough to do. Lots of hoops, but do-able. FMCSA has a Vision Exemption Program which has specific requirements for each application. You will get a decision within 180 days of completing your application. To find out more and get the forms go to this FMCSA official webpage. DOT requires you have a minimum of 20/40 vision in each eye, and in both eyes together, either non-corrective or with corrective lenses. Your peripheral vision is within normal limits. All that being said, you could be driving skills tested with a FMCSA exemption. Check with the FMCSA for the requirements for that particular exemption. It looks like the doctor is trying to determine if you may be color blind. But the primary reason for the DOT physical color test is to determine your ability to distinguish red, amber/yellow and green – not a color blindness examination. Not really sure as to why they would do this. Especially since you have been driving for so long. You are correct to question this. I am an OD who saw a CDL candidate today… Visual acuity is 20/20 OD, 20/20 OS, but the patient has strabismus and doesn’t truly have binocular acuity. Acuity OU is 20/20, but that is mainly coming from her right eye. She has a CDL and has driven a bus for 6 years with no incidents… Does she qualify because of her OU acuity, or not because of no true binocular vision? Thanks! She is driving a bus which puts her under the states variances and not FMCSA. The FMCSA guidelines where established for the long-haul, over the road, tractor/trailer drivers. Your state has a set of guidelines that may vary from the FMCSA. Check with the state first, unless her cdl is a class A. If it is she falls under FMCSA guidelines. FMCSA guidelines require that a driver have a visual acuity of 20/40 or better in each eye, with or without corrective lenses. She would also need a peripheral field of vision of 70 degrees of center, in each eye. FMCSA requires interstate drivers maintain a 20/40, or better, in each eye individually. The state may have different visual variances, so check with your local drivers licensing department regarding visual restrictions. Passing a Ishihara color text is NOT required. All a driver needs to be able to do is prove that they can DISTINGUISH between red, green and yellow. If the driver can distinguish these colors the driver has passed the color portion of the exam. You will need to talk with your local drivers license department for your best answer here. They should have all the forms that are needed for your situation. I went to to get my dot physical done to get my class a cdl permit but failed because of a cordial thinning disease in my right eye does this qualify me for the exemption? the eye examiner said I had 20/10 in my left and 20/50 in my right. And I’m in Wisconsin. Can I use my ophthalmologist vision test for my DOT medical physical test? I have 20/40 in one eye, 20/20 in the other eye and 20/20 in both is this considered a monovision? thank you for your reply. Clarification: I was told if a driver is wearing glasses or contacts you ask them to take the glasses off to document uncorrected and redo exam with glasses on to document corrected. Do you do the exam this way or does it just mean that uncorrected they do not wear glasses or contacts and correct they do wearing glasses or contacts, and you only have to do the exam as corrected or uncorrected not both? Some state, like california, demand a eye test with and without corrective lenses. Most states do not require that both be done. If the drivers license states the driver must wear corrective lenses, the he is test with corrective lenses on. I am 20 20 in both eyes. But I have lost the ability to track with 1 eye. So I see double. If I close one eye or cover it I am fine. Does this disqualify me from driving? It will make passing the eye portion of the DOT medical certification examination very difficult. FMCSA is requesting a 70 degrees or better lateral vision in each eye. I recently had cateracs removed and had numerous eye tests done with my optomologist. Can I use the results from my Dr. for my DOT eye test instead of taking it at my physical?? A copy of the results from your eye doctor, in hand, should be sufficient. I was diagnosed in early January of this last year with a cataract in my right eye. About 3 weeks later I had it removed along with fixing an astigmatism. My vision went from 20/70 to 20/20. I was able to schedule the procedure with an already scheduled vacation so I wouldn’t have to miss work. I’m taking my DOT physical next week. My company didn’t know I had this done. They compar your new physical with the last one. They’re going to see a big change in my right eye, along with the cataract box checked off. One question is would I have needed a med recert to come back to work? I searched the medical section of the fmcsr and couldn’t find much about it. Is there another publication that gets into more detail about physical problems and issues that would tell us what physical problems and issues need a medical recert to come back to work. I’m sure the dot exam Dr’s have some kind of guidelines that they follow. Because there are times where we don’t know if it’s dot rules or company rules. Once you have any illness, injury, or scheduled procedures done, your medical certificate becomes in-valid. To return to work, you need a full medical release form from your doctor stating you have no restrictions and a new DOT medical certificate. The correction to your vision should not be an issue. I have an under developed optical nerve in my left eye (not caused by injury but a birth defect) but have better than average vision in my right. Wondering if I would qualify for an exemption. Also curious to see if I could see a DOT physician prior to making the decision to go to school for a CDL A. All help and advise is a appreciated. We would recommend that you go see a DOT provider and discuss your situation first. You fall under the states DLD variances, so check with the DLD first. I’m also curious as I’m preparing to enter CDL A driving school. I have 20/20 in my left eye and 20/400 in my right eye, which is considered legally blind. I’ve been this way my whole life and never had issues as I was an all star athlete in multiple sports and never had an accident in my 20 years driving. I did have to have a letter from my eye Dr when testing for my Class D license. Will I be ok to drive commercially if I get a letter from my eye Dr? Thanks! If you are going to try and drive over the road / interstate, you will need a vision exemption from the FMCSA. I had an eye injury in 1973 . Had my CDL since 1972. My left eye is good , my right eye doesn’t have a lense in it from the injury.Back then They didn’t DOT physicals were unheard of . My eye doctor made a special lense for my right eye which allowed me to pass eye exams but since I don’t have a lobe on my eye the lense floats around creating problems. I still have peripheral in my right eye to this day . Yesterday I went to see an eye doctor trying to renew my eye part of the DOT physical and told me I don’t meet the requirements for an interstate CDL even though I’ve been driving for 46 years with out an incident. Are these new Federal laws trying to put people out on the street or destroy someone’s livelihood? It may seem that way in the land of the free. FMCSA does issue a visual exemption for drivers in your situation. Try getting information from the DOT / FMCSA regarding the waiver. That is totally up to the examiners office policy, not FMCSA. I drive a lot in my job, going to see many donors of our local children’s home. These donors are mostly located throughout Texas. I am recently suffering from diplopia (double vision) and need to wear an eye-patch over one eye (either one) to see without the double vision causing everything to run together. I need to know what the requirements are in Texas for driving with an eye patch. Can you help me? Your best answer will come from your local DMV/drivers license department. Your situation will fall under the states variances and not federal regs. Would anyone know about the Commercial Vehicle requirements for a vision waiver? My Class A license was pulled at the scales when my truck was red tagged, they said I was unable to drive a Class A vehicle with airbrakes, So they took my license, I told them I had my vision waiver for sometime now, even renewing it and have been able to drive my commercial vehicle. Is this a new law? Does anyone have anyone I can contact, my job is at risk! HELP PLEASE!!! Did you have the waiver with you at the time DOT pulled your license. If not, they were correct until proven different. Hi everyone thanks for your site to help us with our questions. Here’s mine went to my eye doctor today complaining about problems with my right eye I was having symptoms which was causing halos,vision change,green tint. Thought it was cataracts but after exams I was told I have Glaucoma started eye drops today. I drive a paratransit bus Class C license what effect will this have driving in Il thanks ! As long as you can safely operate the vehicle with your visual condition and you do not put yourself and the public at large in danger, then continue with the follow-up with the eye doctor. He should be kept abreast of your situation, as well as, your job description. Also check with your local drivers license department for any restrictions they may have. It depends on the class of drivers license you have and its restrictions, if any. So my question is, how does one get an exemption if they can not legally drive without a valid med card? All I want to do is drive intrastate, which in governed by each individual state and not the FMCSA. However a lot of states adopted the FMCSA guide lines, and others I haven’t been able to find if they have or not because they don’t have any information readily posted online. Intra-state only, maybe. Class A interstate, no. Check with your local drivers license department for the best answer. Even though some states adopted the FMCSA guidelines for examination they did not adopt all of FMCSA’s rules and regs. Ask your local drivers license department what their guidelines require for an intra-state only cmv-class A driver. You may fail your DOT/FMCSA class A examination but most states take your situation into consideration as a intra-state only driver and apply the states variances. had a retina detachment in 2015 and was repaired. my vision has been completely restored and with glasses my sight is now fine. My peripheral is at least 70 degrees. just now applying for a new medical card for a new driving job. will the new dot doctor need anything paperwork wise from me at exam. If all is corrected and you are doing fine at this point, then you shouldn’t need any thing further. Your DOT medical card should already be invalid due to your eye condition. Once you have every thing back on track and a vision of 20/40 or better, with or without corrective lenses, you should be OK if all else is normal. Go to your local drivers license department and ask to be re-instated as a cdl driver. As a class A driver you must have a level of vision at 20/40 or better, with or without corrective lenses, in each eye. You could take the DOT medical certification examination and would not pass as a class A interstate driver, but your local, intra-state, license would come from the state. Not sure of any state that would accept a self certification for you to drive class A. That being said, check with your local drivers license department for more clarity regarding your situation. If someone has a vision waiver and needs to renew it before it expires, does he have to go thru the whole physical or just see an ophthalmologist? The vision waiver will need to be presented at the time of the DOT medical examination. You will have to do the entire medical examination. You can bring a copy of your eye doctors examination findings and it should work in consideration of the medical examiners eye test. If you drive any vehicle that is being used for commerce, than your state is probably requiring a valid medical card. Which means that they are looking at the company and the company is in the business of commerce (making profit). So yes you need a valid medical card, even for intra-state. Check with your states DLD. Our experience with states has been very successful with communicate about their policy first and then the DOT examination. You will need to be able to read to complete your medical questioner, so be as prepared as possible. You will also be tested for visual acuity, which requires reading. explain to the examiner that you need a medical card, but do not drive a class A vehicle. Most examiners do class A medicals and may not be aware of state variances, which you would fall under. Explain the type of driving that you do and that you have had a valid drivers license for years. You should be OK.
what is the requirement of cdl drivers vision….after having vertigo. someone has been told off for 6 months by a Dr. because of the dizziness, but dizziness has been gone since two weeks being told it was vertigo. where do I find the regs on this. FMCSA web site. Depending on the class driver you are will depend on the level of examination and documentation needed in your situation. I have on file with CA DMV a waiver for mono vision and every time I need to renew my medical certificate at the DMV, the dept never seems to know what a waiver is for intrastate drivers only which is the state’s jurisdiction, they keep insisting I need to contact the FMCSA. Who in California can help me? I don’t want to lose my job. Your issues are state related, so FMCSA is not the answer for you. Go passed the DMV clerk and ask for a supervisor for more assistance. Medical cards are obtained from a certified medical examiner not the DMV. Yes, you have the right to a second opinion. You need to correctly identify traffic signal colors, nothing else. I have Macular Degeneration causing double vision. I am currently off on short term disability. Will this revoke my CDL ? I don’t feel safe driving truck many hours of the day trying to focus down the road. Most states want a valid medical card to maintain a CDL. You need to check with your local drivers license department to determine what actions they will take on your CDL until you are cleared to return to driving. So, I went to get my DOT Physical done at the place my company sends us. It’s one of those urgent-care facilities. Anyway, they have this requirement that if you’re diabetic, even just borderline, then you have to get an eye exam done saying you don’t have diabetic retinopathy. I passed the vision part of the test with flying colors. Has anyone heard of this? This would be a recommendation and a request by the CME. It would be a good idea if it has been a long time since your last eye examination. (Not a vision test, but an eyeball examination. Diaabetese can have such a subtle effect on you that you may not even notice it. Also the CME is held by the FMCSA to look at any potential safety issues that could arise. IS being color blind a disqualifier for a DOT License in Va. Visual testing is for visual acuity and the ability to correctly identify red, green and yellow. I have tunnel vision in my right eye. It’s been that way since childhood. I can see fine out of the center, but have no peripheral in that eye.It has never hindered me in driving. What would I need in order to pursue a CDL license? Will this be an issue? To pursue a class A CDL and drive long haul, over the road, will require a federal vision waiver from FMCSA. If you are going to pursue a CDL and travel intra-state only, then you need to check with your local drivers license department for your states guidelines. Yes, just make sure that a copy of the entire examination is available at the time of the DOT examination. I have to renew my cdl license and have an eye exam because at my physical they said left eye is blurry. If i need glasses after my eye exam and let the doctor that did physical have a copy that i got my eye exam done, will they renew my license if i have to wait a week or 2 for glasses to come in? My license expires on the 28th and i know my glasses wont arrive before then. my peripheral vision in my left eye is not right due to a ocular stroke i have done all kinds of cat scans MRI’s eeg test and all. i drive in texas dues this disqualify me to drive? i can see other than that. 1. I am having cataract surgery soon. I know what my family doctor’s requirements are as far as returning to work. Is there a standard amount of time off DOT says a Trucker has to take off before driving semi again, or is it totally up to DOT physician? 2. I have macular degeneration. Will I be able to continue driving semi (per DOT guidelines) as long as I pass the vision tests? out of a vision waiver, since I started driving before all these regulations? I have had three retinal tears resulting in loss of vision currently I’m starting to experience the same symptoms that I had before the previous retinal tears. My question is should I stop driving until these symptoms go away? If the symptoms alter your visual acuity – yes! What is the acceptable distance from the chart? Can I obtain a Haz Mat endorsement with a USDOT vision waiver? This is a drivers license question for BMV. My husband has a vision waiver for the state of Minnesota. We are considering moving to Wisconsin. Is it likely he will be able to get a vision waiver there too? Or is that questionable? You’ll need to check with Wisconsin drivers license department. I recently failed the depth perception portion of my eye exam. I’m applying for a cmv driving job. Can I get a vision waiver for depth perception? Do you think I will hired for the job after feeling the depth perception test? I live in Boston Massachusetts. Check with your local drivers license department on this one. I ve been driving with a Texas cdl for over 40 years. I have had to get a vision wayver and use it for 7 years. Have monocular vision ,well just lately i was grandfathered in but local trucking companies say the co. stills wants me to have a dot med card. ok fine but dont have signed grandfathered in paper to prove im g-fathered in.So no Med card. I can’t get any numbers from state to have them resend me that document .What do you think I should do. 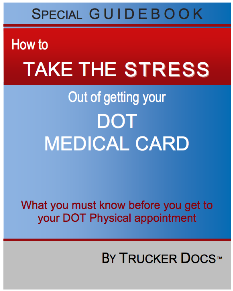 FMCSA will have to provide you with waiver or “grandfather” documentation to be able to have a valid medical card. I am trying to get my intrastate cdl but have 20/100 in one eye and 20/20 in my other eye they said I need a medical waiver where do I get the medical waiver for my doctor to fill out? In Washington state. 1. You do not fall under FMCSA regulations. 2. You fall under your state’s variance. So you want to check with you local drivers license department for information regarding your situation, and their waiver if you need one. I took my physical today. I failed the vision part. I have 20/160 in my left eye non corrected and 20/16 in my right. I have normal peripheral vision in both. I am in the state of Illinios. Am I disqualified from getting my CDL’s? Can’t answer you question because these numbers don’t make sense. The requirement is 20/40 or better, corrected or uncorrected. See if you can get corrective lenses to meet the requirement. If you are interstate then you must obtain a vision waiver from the USDOT. Go to the FMCSA web site for the forms. They will instruct you to see a specialized optometrist to take a thorough eye exam. Your peripheral vision must be good at 120 degrees in both eyes. Sounds impossible but it is not that difficult. There is a ton of info they (USDOT) Will require. It takes anywhere between 4 to 6 months to get this done. The waiver is good for 2 years. When you go to renew it start that process about 6 months before the waiver expires. USDOT (703) 448-3094. They are very helpful. If you have to leave a message plan on calling them back. Not real good about returning calls. If you are intrastate then all you have to do is contact your states BMV. Can I wear glasses from Wal-Mart or do I need a prescription? Getting my class c renewed I couldn’t see the numbers. Colors are fine. Trying for a interstate cdl in Texas to drive a school bus. It really doesn’t matter as long as the glasses you get corrects your vision to what you need. If you need to wear them all the time it’s best to get prescription glasses. Indiana CDL driver has an exemption for interstate transport due to loss of vision in one eye. How often must the driver get vision re-tested? How often must driver get medical certification done? Is vision every year or once every two years? Is physical every year or once every two years? If intra-state you will need to check with your local drivers license department for that information. Interstate requires a vision waiver from the federal DOT/ FMCSA. I have very bad lazy eye since childhood. I had eye surgery to correct it but failed. I’ve been driving the last 15 yrs with the condition without any problems and I was certified without further questions by the DOT doctor. Now, I apply with a new company and the doctor that the company sent me requires me to have a vision exemption. As for the driving, I do use my normal eye to drive while the other eye (lazy one) look over the passenger side. This is monocular vision that what the doctor said and what the reason he needs me to apply for the exemption. Do I need the exemption when I was driving more than 15 yrs without any accident? A lot will have to do with the class drivers license you hold. Also our answers will depend on the same question. What class driver are you? Can a cdl driver friendly do a eye test and will it be good for DMV? No. DMV does their own eye test. I passed the vision at the doctors office. The first vision test at the DMV, was difficult but I passed. I really struggled to pass the second vision test at the DMV. I was told to read the third line which to me seemed much smaller than 20/30 or 20/40. Am I close to failing or will the person at the DMV tell me to read another line that’s bigger. The line I read was line C.
Sorry, can’t help you with what DMV will do. So 20/80 is totally out of the question! I have had a lazy eye from birth. I am currently trying to get my interstate waiver. I have driven all my life but let my license expire ten years ago. I got it back last year and have a current card. The doctor at my refresher said the company I was applying for had tougher restrictions than most so I am looking for another company. How did I pass my first test from a qualified medical examiner? Interstate vs intra-state, with or without corrective lenses? If you are going for interstate, you fall under FMCSA regs and federal DOT. Not sure which level of variances you qualified for during your last medical certification examination. If you must travel interstate, then you must pass the interstate medical certification examination. If that requires a vision waiver from the FMCSA then you are now dealing with a government agency. We do not know of any way to speed up that process. Be as persistent as possible with them on a near daily basis. Hi, so I have Nystagmus. I was approved my eye doctor a little over a year ago to drive WITH corrective lenses. I have 20/40 with correction 20/70 without. My problem is I have to change the address on my license and an eye exam is required just to do that. Do I have to take the eye exam if I wear corrective lenses? My problem is with Nystagmus my head has to turn a few degrees one direction to slow the movement enough to see best. That’s why driving isn’t an issue because you are constantly looking around, not staring at one point the whole time. Sorry. I should be a little clearer. With my eye condition and the way I resolve it, my head wouldn’t be straight on the machine the use to test. I wouldn’t be able to see into the machine. This is a question for your local drivers license department. Sorry we can’t give you an answer. I have completed my CDL physical exam, but I need a vision waiver for one of my eyes. It has been very difficult to find a doctor who does CDL vision examines. Can anyone provide me with the name of eye doctor where I can be examine for a vision waiver? I take eye drops for pressure in my eyes. My vision is 20/20 in each eye. Will I pass my vision test or will I need a medical form? Get a medical release form from your doctor explaining your condition, if all else is acceptable you may be given a short term card until you are off the meds. A lot will depend on your ability to demonstrate medically fit for duty according to the FMCSA guidelines. My husband needs to wear his reading glasses to read small print. Is he allowed to wear them to take the vision test to renew his driver’s license? IF I have night blindness am I disqualified from driving a CMV for an interstate operation? If not what restrictions do I have and will I need a waiver? The medical examiner is going to have a lot of questions because of the night blindness. It can be caused by a multitude of issues. If you go in with a medical release form from your eye doctor explaining your condition and situation with a working prognosis, then you have a much better chance. I’m from California. On the 5th of April I went to get my DOT Physical done and was told to see an eye doctor before I would be cleared to drive. I have a Class A CDL and I drive Interstate. My vision tested at 20/50 and 20/70 uncorrected and 20/20 both eyes with corrective lenses (glasses). Also I passed the peripheral vision test and I am not colour blind. However the doctor did a cranial nerve test for ocular movement where he had a pen that he moved and he wanted my head to stay still but my eyes to follow the pen. That is where the issue is and my eyes hardly moved so he told me to see an eye doctor before clearing me. Is that within regulations? What are my options? My current physical expires on the 8th of April. Not sure why the examiner would go to such an extreme on your examination, especially since you passed the requirements of the DOT/FMCSA. Some examiners over-read the requirements and some look at obscure issues. You may want to go for a second opinion elsewhere. How do I do that and not get in trouble for doctor shopping? It’s just requesting a second opinion, not doctor shopping. A co-worker of mine lost an eye due to cancer. Being in a supervisory capacity, our department head has us maintain a valid DOT/CDL for buses, although it is highly unlikely we would drive one any more than around the shop. Would he qualify for an exemption under these circumstances? All he has to do is check with your local drivers license department. Have him move his status to intra-state only and he will be just fine. The intra-state only status is for cdl, but he can operate his automobile anywhere. Does it matter what your peripheral vision is for your DOT medical card? Yes it does. You must have at least 70 degrees of lateral vision from straight ahead with each eye individually. I have 20/20 in Right eye, 20/40 in Left eye with corrective lenses, but I cannot pass the Vision test at the DMV for a CDL. Multiple eye doctors with multiple prescriptions have been tried. Taken the test multiple times, but I cannot pass it. I’ve applied for a waiver several times, but keep getting denied. What are my other options? You may want to consider driving Intra-state only. That way you fall under the states variances and not the Fed. Check with your local drivers license department and see what their rules are regarding intra-state cdl. My name is Ramon.I have a dot physical all ready.but a job send me to get another one .I failed the eye exam .because one of my eye I only see blurry. But I could see good with both eye .but the doc said I failed. My question is do I loose my cdl even if I have another physical.? I don’t care about the job . So my husband is eligible for a NH only Intrastate Waiver. He’s had one before and we have all the stuff to get one. But the M.E. who did his physical stated that she cannot give him the medical card since the company he is wanting to work for is considered an “Interstate” company. She is refusing to do a card (even though we paid for the exam) to be established for an Intrastate waiver. The company my husband is applying to understands he cannot cross state lines with one of their trucks and is hiring him to be local only. Without the NH waiver, no job. He has not driven commercially for the past 2 years. He needs to have 3 years up to the date of the date of the Federal Waiver application date. The DOT in Washington DC states that he needs to get a NH Waiver and be employed as a commercial driver (it does not matter doing what) within state lines for 3 years before he can be considered for the Federal waiver. I am looking for confirmation that this M.E. does not have the right to withhold my husbands medical card for a NH Waiver based on who he is looking to work for. It is based on whether my husband crosses the state line in the driver’s seat, not the company itself if someone else is driving. Or am I reading the statutes wrong? I had a restriction on my cdl where i couldn’t go out of state due to my vision in my left eye and i got my dot physical done and they certified me to drive in state. I just recently rent back to the dmv to retake my vision test and i passed and they took the restriction off my license. Now do i have to go back and have a new physical done or am i fine to drive out of state now? Your first examination was for intra-state, so yes you would need to have a new interstate medical examination done, if you want to drive a commercial vehicle out of state. Also, a lot will depend on the type of driving you are going to be doing. Check with your local drivers license department first and get your questions answered, then go for the medical certification examination. Good luck. My name is ajay kori I have a 1 query please suggest me, I have an uncle his age may be 40 years he was driving a big tancker of chemical in mumbai when he was just 20 years. but before 7-8 years ago he lost his left eye because of that chemical he can’t see from his left eye but he still can drive well. so my question is can he renew his license again ? do he need any certificate to renew. now he don’t want to drive big vehicles just want to drive 2 and 4 wheelers. he also have his old license. please solve my query. I have my CDL license. My renewal is coming up in March. I recently had eye surgery due to detached retina. I am not going to meet the Vision Requirements before my renewal date. Will I have to start all over when my eyes clear up with CDL process or what can I do??? You need to check with your local drivers license department and let them know your situation. You won’t need to redo your CDL testing, but they need to know how to help you for now. Hello im from iowa, i took the dot physical, i didn’t pass the vision test on my right eye. i had surgery to reattach my retna on my right eye now im trying to get the wavier so i can drive dump truck class b cdl intrastate now is it worth pursuing this or should i just give up. i see that it can take up to 180 days for a response from FMCSA. im able to see out of that eye like colors, i can tell what the objects are its just blurry.my peripheral vision is good. my doctor says my vision in thay eye pretty much is what it is. Check with your local drivers license department. You should fall under the states variances as an intra-state only driver and as such should only have to meet the states requirements, not the FMCSAs. The states can issue any waiver that they see fit, as long as they feel that you can do your job safely. No. The CME can’t complete the exam until all parts are completed, including the vision test. I have a cdl-a with a soon to expire medical card. I have a vision deficiency in one eye from a birth defect. Corrected vision is 20/100 left, 20/40 right. The requirement states the vision must be stable. Mine is not. If not granted a waiver, am I “disabled”? Do you have any idea where I can get help with this? You will not qualify as a class A driver running interstate. I have a CDL, class C, passenger endorsement, driving a limo in NJ. I August, struck in rear by vehicle and developed 5 floaters in my left eye, within 2 months of accident. Will the floater prevent me from renewing my CDL license? Not if they do not interfere with your ability to operate a CMV. If the condition poses a safety issue, then it could be a restriction. Also you are a class C driver, so let the examiner know the type of driving you do. It will make a difference to the examiner. Nope. So unless there was some other condition that caused the CME to restrict the certificate, then it’s unknown as to why he would not provide a DOT certificate. Does the doctors office check my vision for dot card, or the va dmv check them ? The Certified Medical Examiner should be performing your eyes examination for your medical card. DMV may do a vision test for your license, but these are totally separate. I have 20/20 in my left eye and 20/50 in my right, 20/20 both with glasses. I have a birth defect in my right eye, the optic nerve is narrower than normal. I still see blurry with corrective lenses in the right eye and and everything thing is a little darker in that right eye as well. I do not have a CDL, I want to get a permit for a CDL with P and S endorsements to drive a school bus for a school district municipality in New Jersey. I have applied twice to the DOT for a vision waiver. I was told that in my case, it does nor apply and I cannot get the waiver. The DMV in New Jersey says the only way they will issue a permit for a CDL is that I need the DOT vision waiver. Would you say that I’m not ever going to move forward because of my condition? And I should just drop the whole matter? You will fall under your states variances and not the DOT/ FMCSA. As a class A over the road driver, you would not pass the medical certification examination. That being said, since you are working on driving a school bus you should be held to the states rules and regulations, not FMCSA. So first get a medical certificate from your local CME and then take that information to the state drivers license department. Based on the findings of the examiner, the state should then issue you any waivers or state variance restriction limitations that would exist for the level of driving that you want to do. Thank you doctor. I did have the physical exam by a DOT physician, I passed the physical but failed the vision portion, on the medical certificate issued, it stated that I need a federal vision waiver which is only available through the DOT. I took all of my paperwork to the New Jersey DMV, they told me that the state does not have a vision waiver program and I need a federal DOT vision waiver which I cannot get. So you see I’m in a holding pattern that has no positive advances in my situation. What one state government entity requires the federal other will not provide in my circumstances. Thanks again for your time. I have been a city bus driver in Minneapolis/St. Paul, MN for 28 years. Over the past year I have developed Cataracts in my right eye rendering me well above the 20/40 visual acuity. My left eye is still 20/20 and clear but sensitive to night glare. However, because of my relatively young age (56) I have been told by my eye doctor that lens replacement surgery is very high risk for Retina Detachment until I’m in my 60’s. He recommends I find a different profession because my cataracts is progressive and unstable, and will eventually affect my left eye too. I’m only 2.5 years away from full retirement with rule of 90. What are the chances I can get a vision waver for this when corrective surgery is available but I don’t wish to take the risk at this time? So lets see you are losing your vision in one eye and one is sensitive to light at night and you drive a bus with other people on it and you are wanting to skirt correcting the eye problem. If we got this correct, then the best thing to do is get this issue corrected and keep going, or get a different job. But you can check with your local drivers license department and see if they think you are safe enough to drive a bus with one eye. They may have a waiver for you. This is a state issue not a fed issue. I don’t feel the best thing to do is get the correction because it could lead to retina detachment which is a medical emergency with a 48 hour window to save the eye afterwards assuming I even know when it happens. I’d rather try and wait out the cataracts than risk permanent blindness, so I need to try and get a waiver for two more years then retire. If I get a different job I lose my rule of 90 and all my retirement benefits. I was only asking what you thought my chances of success at getting a waiver were? Since you are going to fall under state variances and they will be the one’s to issue you the vision waiver, then you still need to cheek with your state. Your concerns are a state related, not FMCSA. Good Luck. First, detached retina does not require a 48 hour window to save sight, I went three weeks before getting surgery. Second, you will know she it detatches because your vision goes away in the area detached. Third, your primary responsibility is the safety of your passengers, not your pension. Fourth, if you are a city employee they can not fire you because you have a vision disability. They will find another position for you to finish your time or arrange for early retirement with disability. I Ave a retina detached in my left eye and I’m going through several surgeries to correct it with a 20/40 in right eye with corrective lenses. With Dr. documents on what’s taken place can I get my dot physical. Plus I wear hearing aids with document on them. Once you have healed from the surgeries and your vision has corrected to 20/40 or better in both eyes and each eye individually, you should be good to go. Just tell the CME what is going on and make sure you have a medical release from the surgeon stating that you have been released to normal work duties. Can I have a CDL license if I have been diagnosed with Macular Degerneration? If you can perform the job description for a CDL driver based on the level of your drivers class license, then you could be OK. It all depends on how much visual loss you have and how fast the condition is progressing. I can only see in my right eye which is 20/20. 2. If yes….will I be able to drive shuttle busses (intra state) within another states border for 5 months a year that is different from the state my CDL Class B License will issued where I live? You are going to fall under the states variances and not under federal, so check with your state drivers license department. Also, because you will be limited to driving within your state you would need to check with the other state drivers license department to answer your second question, otherwise you are driving interstate. That would be a no no. I have no vision in my right eye. Is there any way I qualify for any level CDL license? History: lost my eyesight in the right eye when I was 8 years old. Have passed every non CDL drivers license test including the vision part. You would not be qualified for interstate, but may qualify for intra-state only. So check with your local DLD. I don’t have a CDL, but I was curious what the vision requirements are in Kentucky for a driver carrying hazardous waste. If they have 20/20 vision and have limited horizontal vision, could they still be licensed in Kentucky? You’ll need to contact Kentucky DMV about your limitations and see if they have any kind of state waiver. Okay, thanks, and Happy Thanksgiving. Safety in your travels. Attempting to verify something reported by our facility Nurse. If a driver is required to wear a hearing aid they are required to have a backup power source for the hearing aid while they are driving. Is there also a requirement for corrective lenses? I.e. if you are required to wear prescription glasses/contact lenses do you have to keep a spare set of lenses with you? I have been unable to find a specific statement in the FMCSR about having spare lenses. It’s one of those highly recommended things. It would make sense to have a backup pair of corrective lenses just for your own sanity. I am a bit color blind. Can you give me the colors on the color part of the test? And are they always in the same order? To meet the color blindness standard, commercial drivers must be able to distinguish between the specific colors of traffic signal red, amber, and green. Color blindness should very rarely disqualify a driver. When I was tested for colors on the test there were 4 colored boxes on the left hand side and in descending or i answered red, yellow, what looked like grey or green and then brown.i have been driving for 6.5 years and now that I am attempting to get my tanker and hazmat endorsements, I can’t make out the last two colors. Are there any records or info stating what the four colors are and in what order are they? The point is to determine whether you are color blind or not and fit to certify for your CDL, not to fudge the test. In Arizona can I take my eye exam at a doctors office before going to get my license renewed? I do good in the doctors office but am too nervous at the dmv.n if so what paperwork does the dr. Have to fill out? Are you asking about license renewal or DOT medical certificate? Medical certificate can use your doctor’s information. Not sure about the state license renewal. What if I have Glaucoma? Can I drive a commercial vehicle? A medical release form from your doctor and a valid prognosis will be a big help. A lot will depend on where your visual capabilities are at this moment and what can be expected in the very near future. I served in the military for many years. I can see colors just fine. I have no problem with traffic lights or traffic signs. But, I cannot pass a color vision test. But I can see individual colors just fine. Will this disqualify me from receiving a CDL to be an over the road trucker? You will probably need a skills performance evaluation to determine your capabilities, along with the vision waiver. Best bet is to check with your local drivers license department to make your final decision and determination. No, FMCSA wants to know that you can determine the basic colors of the traffic signals, that’s it. In the vision field, I am passable in my left eye with 20/20. In my right eye, I am legally blind, but also passable in my EYE Doctor’s office when he completes his tests. I see there is now just one form to take the CDL Doctor. In the past, I had my eye Dr. fill out the vision portion, and the CDL Dr. filled in the other parts to make a completed Medical Exam. With the new “one-form” to filled out by the CDL Dr., where can I get a waiver papers for my EYE Dr. to fill out for INTRAstate travel within the state of New Jersey? I am a current CDL holder, but do not drive, I only have my CDL as a back up in case. All you should need is to take the vision report from your eye doctor, to the medical examiner. The CME will add the eye doctor’s report as an addendum to the new certification form. Probably not. His CDL will be downgraded due to not having a valid medical card. He may be able to get a valid medical card again if he can get the condition corrected. For someone who is trying to get a CDL permit can they also receive an exemption for vision? We have been trying to get my boyfriends permit for a year. we have been to eye doctors and specialist and they have all said he could drive perfectly fine and his vision is only lazy in the left eye. Right eye is 20/20 and peripherals are above requirements. We are not sure what to do after the Department of Transportation denied him due to not having three years of driving experience, so they had sent us to Motor Carrier Services. Any one have advise on what else to try. I know this will be a longer struggle and more money but he is willing to keep trying. As long as you can get the 20/400 eye corrected to better than 20/40 you will be ok. If you cannot see 20/40 in that eye with correction, you will need to apply for a vision waiver from FMCSA. Not without a valid FMCSA vision waiver and a skills performance evaluation. But if you drive intra-state only, then it is up to the state drivers license department to make the final decision. But class A interstate and no vision waiver – No! FMCSA is going to want 20/40 or better in both eyes and each eye individually. That can be with or without corrective lenses. If his lazy eye is outside the FMCSA perimeters, then he should be able to drive cdl intra-state only. That will fall into the states variances and should be confirmed with your local state drivers license department. Federal DOT would want a skills performance evaluation before a visual exemption waiver would be issued, But if you are going for the CDL permit now, then check with the state first. If a driver fails the eye exam (i.e. vision in one or both eyes is worse than 20/40) do I choose the box “does not meet standards” and refer them to go to the eye specialist for vision correction and tell them to come back for an entire new physical once the vision is corrected? Can I choose “determination pending” and place a 45 day hold on the medical card and again refer the patient to the eye specialist for vision correction and have them bring back a note stating the vision has been corrected and once I receive the note from the eye specialist I then sign off on the medical certificate? We have a debate in my office… the way I read the guidelines we should fail the patient and have them come back for a new physical including eye exam once his/her vision is corrected. My peers argue that the patient should be able to be placed on a 45 day hold, get his/her vision corrected and then present back to our office with a note from the eye doctor stating the vision has been corrected and the patient does not have to have a repeat eye exam. Technically – “If the CME examines the driver and the condition is something that the CME feels is disqualifying, the CME should not use the determination pending category. Instead, the CME should disqualify the driver.” So you are correct in failing him/her. The “determination pending” category is only to be used while waiting for additional information to make a qualification determination. This is where black and white rules may create unnecessary hardship. In this case make the call that best suits you and the driver, but it’s your call either way. You may choose to work with him and give him a few days to continue to drive on his current medical card while he has the vision corrected. Once corrected and a new vision examination is done, then you can issue a valid medical certificate. You want to have him repeat the eye examination in your office to determine that the problem has been corrected to DOT standards. Yes, as long as you can see 20/40 in both eyes and each eye individually with or without correction, you should do fine. I am a neuro-developmental OD who has treated a stroke patient with a left superior quad def. He has undergone vision rehab and wears Peli prism glasses full-time to improve his peripheral awareness left side. His VAs are 20/20 OU. When Tangent screen field testing is done binocularly, he gets out to the full left and right side field awareness. With vision disk testing while wearing the prism glasses, his awareness is 70 degrees on both sides. Without the glasses, his field awareness decreases to 17 deg left side. Do the above findings meet DMV requirements in the state of NC to drive commercially intrastate? First question would be, how long ago was the stroke? Because you have a DOT wait period following the stroke. As far as the visual correction, you would fall within the DOT standards as long as he wears his corrected lenses. And because your driver is going to be driving intra-state only, you want some additional information from the state regarding NC state variances. 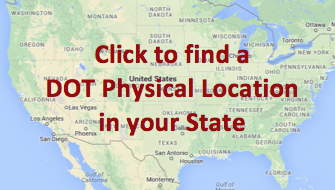 Once you pass the DOT physical you will to have a skills performance evaluation done to determine if you can drive a big rig over the road or if you will be driving intra-state only. They both need a CDL license, but — intra-state is working on state variances – and – interstate will require that you have a SPE done every couple of years. Check with your local drivers license department for any further information regarding the skills performance eval. I applied for a class B CDL with P and S endorsements for school bus driver. I passed the medical but my eye test was left 20/25, 85 degrees and right eye 20/70 80 degrees. and both eyes 20/20 with corrective lenses. I was told by the medical doctor that I need to submit for a federal vision exception. The form looks long and complicated complicated. I want to make sure that I file it correctly. What are the chances that it will be denied? Can I take my completed medical exam form w/o the federal endorsement to my state’s DOT license center and ask about my situation? Since the federal guide line for eyesight is 20/20 20/40, it this worth pursuing, or should I just forget it and move on? Thanks for your advice. If you are going to drive intra-state only, then check with your local drivers license department and confirm with them. You were evaluated as an interstate driver and the FMCSA would require a vision waiver, but that may be very different with the state variances. What line on the eye chart is considered 20/40, and what if you can only make out part of that line. Charts can vary from company to company, so if you can’t read a full line at 20/40, then you need some level of correction. And you must be able to read the entire line. Besides, your drivers license department requires a 20/40 or better to operate a car. My husband has only his left eye since 2008 and has excellent eye vision in his left. He can do anything a person with two eyes can, he has 20 vision in his left eye. We are moving too Co, Parker, could he get his license? You’ll need to check with the local drivers license department where you are moving to. Hello, I am a city bus driver. I hold a class A license.I also wear glasses. I have 20/80 vision in my right eye and my left eye is 20/20 I went to eye doctors and they told me my only option is to wear a contact in the right eye. If I choose not to get a contact. Can I still get an exemption to keep my cdl and my job ? And how do I apply for an exemption? I only drive in the city NOT over the road. Do that make a difference? I just want to keep my cdl and my job please help! 20/80 with a bus load of people and you don’t want to correct the eye to a better field of vision? OK, then check with your state drivers license department to have your cdl restricted to intra-state only and make sure that it will accept your visual impairment. After that the state should issue a visual waiver, if they need one. When you say “intrastate” meaning a regular driver license or a cdl? Either. Intrastate means driving commercially in the state of your drivers license, and not crossing state lines. A lot will depend on what class license and how broad an area she drives in. If she is intra-state only and has a regular drivers license, then she may be qualified via the state regulations. She could not pass the interstate phase of the medical examination otherwise. So in short there may be circumstances that are in place that allows this. Besides any place that is being “easy to pass” also must assume risk responsibility for anything they pass. If you are driving with a local company and you have 20/70 vision in the right eye and 20/20 in your left eye and are currently getting medical attention to fix the right eye can you continue to work until you get it fixed ? Driving what, where? Are you holding a cdl, do you have to have a valid medical certificate to do your job? If you must have a valid medical certificate to operate the vehicle that you drive, then you will not pass a medical certificate examination and should not be driving. Once the correction is complete then you can pass the examination and drive again. I have glasses and my vision has gotten better but my right eyeis still a little blurry can i still drive a truck. You must pass the vision requirements with proper correction / glasses. I have corrected vision of 20/20 in the left eye and 20/30 . My question is a waiver necessary or possible for someone with Diplopia? Looks like you correct with out any issues, but the diplopia may raise questions with your ability to safely operate a commercial motor vehicle. Your state may have the best answer for you. Check with your local drivers license department and see what they have to say. You may be limited to intra-state only, so check with DLD. Can I wear contact lens to pass the color test in the eye exam? I’ve heard conflicting information. As long as your vision corrects to 20/40 or better in both eyes and each eye individually, you should be good to go. Following up for clarification: The contacts correct minimal color blindness not vision. If you need to wear contacts to pass the DOT physical exam, you will need to wear them whilst driving. This will be noted on your medical card and medical report. I have had lasik monovision for 12 years. I have no problems with seeing. everything is better. No halos at night , good night vision, no depth perception problems, ect. I see 20/20. I have been driving without any problems, no accidents, no issues. I have gotten a renewal in 2008 on my CDL, but the other day, I went to renew and was told that I needed a waiver. Why would I need a waiver if I have perfect vision. I feel like there has been a misrepresentation on monovision. I have been driving school buses for 30 years. I have good peripheal vision, no glasses needed. I got monovision, because I did not want to wear glasses. Maybe this should be something that is looked at a little harder. It does not make sense. Lasik has come a long way and I am proud to say I would not trade my monovision. I plan on contacting my eye doctor and see what kind of deal this is. Really I feel we are still in the horse and buggy days. This really needs to be addressed. Please let me know what I can do to help change this law, because this is not a fair law. Couldn’t there be a test for monovision drivers? I feel this forcing us to go backwards, because people do not understand good monovision. I am not trying to be difficult, but this is not fair!!!!!!!!!!!!!!!!!!!!!!!!!! You could take the issue up with the FMCSA since they wrote the regulations. FMCSA wants you to see 20/40 or better with both eyes and each eye individually, corrected or uncorrected. With the mono vision you do not see 20/40 in one eye and they want that corrected via glasses or contact lenses. That’s an FMCSA thing. I have a glass eye on my right side, is there any limitations or requirements for me to obtain and class b cdl? You will want to check with your local drivers license department and find out what papers and waivers you will need. It is doable, but get the information ahead of time and save time later. The medical card is not valid unless you have the vision waiver with it. Can’t do one without the other. Can I wear reading glasses on the eye exam? As long as you are prepared to wear them all the time. If you use glasses to pass the eye examination, then you will have it marked on your medical certificate that you must wear glasses to drive. And if you need glasses to pass the eye examination, then why not just go and get a properly prescribed pair to wear all the time? I am a medical examiner who performed a Snellen Test on an individual with contacts. He has 20/20 vision with his correction. When he presented him long form to California DMV he was told his form was incomplete because we did not test him without his correction. I have reviewed California requirements and it states driver should be tested with OR without correction. Not both tests. They want the form completed with both results – with and without. You qualify the driver: Either with or without correction. I am so frustrated! I am legally blind in my left eye; have been driving a commercial motor vehicle for 27 years, safely, without accident. When I went for DOT physical in December, I was denied due to my vision (remember I have been driving legally for 27 years). It seemed as if the only option was to apply for the federal vision waiver program. So, I did. I have been waiting for 4.5 months and just received my formal notice explaining this program “is not applicable” for me because I only drive intrastate. Where do I go from here? What else can I do? You need to explain to the examiner that you are an intra-state only driver and the state regulations are what applies to you, not federal guidelines. Each State has their own rules. Check first with your state drivers license department and explain your situation. They should be able to help you the most in this issue. As long as all other visual aspects are relatively normal and you have a medical release form from your eye doctor explaining your situation, you may be OK. But make sure you have as much supporting information on hand before going into the examination. If I have my medical card already. When i go for my New Jersey CDL permit do I need to take a eye exam at the DMV or do I automatically pass with the card? DMV is one thing and the medical certificate is another. One does not over-ride the other, so expect an eye examination at the DMV. I have a -7 in both eyes in my prescription for contacts, am I qualified to past the vision test for CDL license?? If you can see 20/40 or better with both eyes and each eye individually with or without glasses, then you will pass the eye examination portion of the DOT medical certification process. I have 20/25 vision in my left eye and 20/400 in my right eye. 20/25 with both eyes with corrected glasses. I can also see the colors red green and amber. Along with 70 degree field of vision. Do I need a waiver or does this pass DOT physical fora class A cdl? FMCSA wants, corrected or uncorrected, 20/40 or better in both eyes and each eye individually. Otherwise you will need a vision waiver to pass class A. Why not go and get your eyes check out before you go for the medical certificate. The vision waiver takes time and you will not qualify as fit for duty if you can not pass the eye examination, so no CME is going to issue a card to drive when they are not able to pass the examination. But of the only question is the eye examination, then go get them checked out before you go for the DOT examination. I was diagnosed with branch retinal vein occlusion due to high blood pressure. I meet the requirement of the vision test but the doctor won’t pass me. Can I go to a different Doctor? With this condition, it is going to be difficult at best to get any clearance to drive a CMV. No good prognosis or treatment and usually has a tendency to worsen over time. I was sent for a recert after bein release from knee surgery. i was told it was a fit for duty. I passed all but the vision. i was temporsrily disqualified. the doc said come bacj with new glasses and take eye exam. Another dr. said i had to redo all? Whats correct? If you go back to the original examining office, all you need is the vision test. If you go to another facility, then you will need the whole examination. One doctor will not sign off on another doctors work, especially if they don’t know each other. I have recently lost vision in one eye. I have read the DOT requirements & I understand that monocular drivers must get a waiver to become DOT certified. Are there any differences is requirements/restrictions if I’m not trying to get my CDL? The company’s vehicle that I would be driving is a considered a DOT passenger pick up truck. I’m not required to have a CDL to drive it, but I do have to have DOT certification. You will want to check with your local drivers licensed department. You do not need a class A medical certification, but you do need a medical certificate to do the job you describe. Your state will give you the information that you need to get the medical card, but they will have their own rules for the vision waiver. If you drive non-cdl and just need a medical certificate and a vision waiver, then check with your local drivers license department and ask them how that will work for you. Each state has its own set of regulations that are outside the federal DOT. Check with your local drivers license department for the requirements to drive intrastate only. You may be able to qualify to drive in state. Once you have gained the required experience, intrastate driving my become a possibility for you. I have applied for intrastate and got approved . But hard to get hired to drive in one state with no experience driving buses or trucks a lot of companies don’t wanna have to train you. I have applied for federal vision waiver. I had a detached retina 1.5 years ago after the surgery i have 20/20 vision with both eyes but only 20/50 with my previously injured eye. Is there any way for me to get a CDL? And are there different requirements for a class B? Visual requirements are at least 20/40 in both eyes and each eye individually. If you are at 20/20 in both but only 20/50 with the injured eye, you would need to go for some correction to get you to 20/40 or better. If there is no correction possible, then you can check with your local drivers license department and see what the requirements are for a class B or intra-state only. I have heard FMCSA had changed their requirement that you must drive 3 years with your eye deficiency and provide documentation of that….. is this true? and does it really take 180 days to get a response???? If I can’t work all that time, I’m very afraid of what will happen to me financially. Need a bit more clarity on this. What eye deficiency? And 180 days from whom to respond? This is a question for the state of Florida. We can’t speak for each state individually. So check with the state drivers license department and see what they have to say. I had a mackular puck in my right eye, Dr performed surgery but could not give me a % of success. I now have approx 20/70 vision in my right eye. Dr stated that my right eye is as good as it is going to get.The for mentioned procedure generated a cataract forming in my right eye. I have 20/20 vision in my left eye corrected with glasses. I live in Ma and getting a job driving a handicap van for local co. How will affect my getting a medical card? You may need a vision waiver from the state. FMCSA and the interstate drivers must have 20/40 or better with both eyes and each eye individually. But each state has a different set of rules for intra-state only drivers with a medical certificate. So check with your local drivers license department and see what they have to say about your present condition in your situation. I had cataract surgery on both eyes 6 mos. ago. The result is monovision, with 20/40 using both eyes, 20/30 right eye, 20/50 left eye. The brain puts the 2 together and allows the person to see both near and far, as opposed to just near or just far, the only other options. Previously I had good regular vision in each eye, except for the cataracts and mild presbyopia. I asked the opthamologist if the monovision would affect my driver’s physical and was told it would not. When I went to get new physical, I was told I have to wear glasses in order to bring left eye up to 20/40. I drive safely without, being able to use both eyes at 20/40. As I understand the D.O.T. rules, each eye must be at least 20/40. That’s not what happens when monovision is created purposefully. Why would a doctor be allowed to perform an operation that the State/Feds won’t accept?? Does this qualify for a waiver? Sorry that your eye doctor does not know about the FMCSA guideline, but the reality is that you will need to wear a corrective lenses to bring both eyes to 20/40, with or without corrective lenses. You might want to inform the doctor that did the surgery, that he has done you a major dis-service by making you a mono-ocular driver and that you now are going to be forced to wear a corrective lenses to pass the DOT examination. We are the provider and a patient did not pass based on his vision. He has now seen an eye exam and corrected the problem. How do we complete the paper work and registration on line for this patient’s DOT to be valid. We have called the phone number listed and left several messages without any reply. We have emailed twice and both times told to call the phone number listed, even after we explained in our last email that we have left message without a reply. Please response with an answer so we can handle this situation properly. Thank you in advance for any help you can give. Simply re-enter the information with the proper dates (exam date & expiration date) into the NRCME data-base and mark it as medically qualified. That should override and correct the first information input. My boyfriend has cataract and the specialist put him glasses but don’t seem to be working and still has trouble seeing out of his one eye. Will they not issue the medical card for his cdl in KY since he is drives interstate? Will they require him to have the cataract removed ? If he can’t see clearly, why would any CME clear him to drive. This is a major safety issue. Best bet is to get the cataract taken care of and then get back to driving. Otherwise he is not going to qualify as a fit for duty driver and be disqualified from driving until he gets it all taken care of. As far as we have seen, at least with the new upcoming DOT physical, there are no new changes. Have you checked with the FMCSA about a vision waiver though. It appears that the state of Florida has the first restriction, but are there any rules or restrictions within the state that may allow you to try for the FMCSA waiver? Probably not without restrictions. But get an eye examination from your local eye doctor and see what he has to say. FMCSA requires that you be able to see 20/40 with both eyes and each eye individually. That can be with or without corrective lenses. I hope this isn’t a duplicate but I haven’t seen it yet. My son has poor vision in his left eye, just missing the 20/40 mark. He failed his DOT physical the first time for that reason but then took it again and passed (got lucky). His eye doctor can’t understand why he failed as he always tests better in the doctors office than 20/40. The question is, is it possible for his eye doctor to give him the eye exam portion of the DOT physical and would that be acceptable to the DOT medical examiner? Yes, absolutely. It would be the best way for you to go. Just so I’m clear, does the DOT medical examiner HAVE to accept the vision exam from my son’s eye doctor? Or is it optional and up to the discretion of the DOT medical examiner? The eye doctor’s examination and findings are considered supplemental to the CME’s examination, so it should be useful for the CME, but it does not have to be accepted. If both parties are using a standard Snelling chart, then I am not sure why he would pass in the eye doctors office and not in the CME examination. I had cataract surgery 7 years ago in my left eye while I was living in Tennessee. I have been living in Arizona for the past 5 years. My vision and peripherals in both eyes meet the required standards . I hope that I understand the way to properly handle the DOT Medical Exam procedure correctly as follows: In the Health History section I need to list the cataract surgery, have my current eye doctor fill out the Medical release form and then go to get the DOT exam with the release form in hand. Have I missed anything? Heck while your at your eye doctors place, have him do a quick visual acuity test and write down the results. Then the CME won’t have any questions and the visual portion of the examination is done. But even without that you have all the procedures in the right place. I had lasik and have mono vision. But I do have glasses that corrects both eyes back to 20/20. Will I be able to pass the vision requirement with my glasses or would I still need a waiver for monovision? Just the glasses to correct your vision to 20/20 will do just fine. I’ve been driving since 01 and I started with Dart Transit in 2010 but when it came time to renew my medical card I failed the vision test for right eye and went to see a eye specialist. Told me I have a mild case of astigmatism but it’s been stable for and I always get a vision of 20/30 but I lost my job even though after seeing what the doctor wrote their M.E. gave me a medical card good for 2yrs. Can i just have a Optalmologist the vision part. As far as the DOT 20/40 vision regulation requirements are concerned, I was born with a crossed eye which is a birth defect. I had eye surgery at age 3 and have worn corrective lenses ever since. My eyes with glasses worn will not meet the 20\40 regulation requirements but I have been driving since the age 15 will this prevent me from obtaining a CDL licence and if not what will I need to do to be able to obtain one? You could check with the FMCSA and see what they have to say. According to the guidelines and regulations driver must be at least 20/40 with both eyes and each eye individually. So any CME is going to abide those regulations. If FMCSA wants to issue you a vision waiver, it will be something between you, your eye doctor and the FMCSA. CDL drivers go by the FMCSA rules and regulations. States can go by their own rules and regulations. So your driving since age 15 is not the question. The questions is would you be qualified to drive with a CDL. FMCSA rules apply, not just the state rules. I am currently mostly blind in left eye due to incident when I was younger. I do not have any official driving experience from previous employers however my current employer would like me to get a medical card. I have peripheral but it’s limited. I live in pa and I wouldn’t be crossing state lines. Please can someone give me a straight answer whether or not I can get a medical card. You will need to get a vision waiver from your state to be able to pass the medical card examination for the vision portion. So check with your state drivers license department and get the vision waiver and then go for the medical card examination. So I have 20/20 vision with both eyes together but can see 40 line in my left eye can also see 70 degrees around me with both eyes and can pass every other aspect of the DOT physical can I just go to my local DMV to get a vision waiver my license does have a restriction B on it. Check with your drivers license department and see if they are going to issue a vision waiver. You must be able to see 20/40 or better with both eyes and each eye individually. Peripheral needs to be 70 degrees or better in each eye. On the eye chart numbers 1 to 10. What is the number u have to be able to read in order to pass that part of the visual exam? I always read #8 is that just passing or good? I ask because the last exam the lady made me take off my glasses to see what line I could read without them. Line 8 is 20/20 and all you need is 20/40 or better corrected or uncorrected. Some states like to see what your vision is without correction, but it is only information gathering not used in the examination findings. So I have a lazy eye which is my right eye I have 20/20 vision with both eyes together 60 with my left eye by itself but not so well with my right eye by itself (lazy eye) would this keep me from getting my CDL my eyes are perfect together. 20/40 or better, both eyes together and each eye individually is the FMCSA requirements. That can be with or without correction, but the 20/40 is the minimum acceptable level. If that is not possible, then you would need a vision waiver from the FMCSA to drive with a CDL license. With both eyes together its 20/40 but cover up the left and leave the right theres nothing do to a lazy eye but I passed every other aspect of the exam but got sent home because my right eye was lazy. Is this waiver something a Dot doctor can get you. Usually not. It will come from your state drivers license department or the FMCSA. I’ve heard that the rules for eye sight got changed this year . Is there any truth to this ? I have hyperopia,astigmatism,and presbyopia vision can I still pass my eye exam? If your vision corrects to 20/40 or better and you can do that with both eyes and each eye individually, then you can pass the eye examination. The only questions that the CME will have are what are the progressive conditions that would hold you from getting your medical card. 20/40 or better in both eyes and each eye individually. That’s without correction or with correction. 20/40 is still the test parameters. My eye doctor said my vision is 20/20 with my glasses 40 in my left eye but if my left eye is covered and my right eye is by itself theres nothing it used to be crossed cr england kicked me out for this will this stop me from passing the DOT eye exam? Not sure about the question but here is an answer – You must be able to see 20/40 or better with both eyes and with each eye individually. That can be with or without corrective lenses. If one eye is unable to pass the 20/40, corrected or uncorrected, then you would need a vision waiver from the FMCSA. I was told recently by my eye doctor that I have 20/25 vision on both eyes with my corrective(prescription) glasses. Will I qualify fore cdl In state of Texas? Will I pass the dot eye exam? Will I we able to drive interstate? Please get me some answers!!! Thanks. 20/25 in both eyes and each eye individually will not keep you from passing the examination. You should be good to go. Is there any level of correct-ability? As a driver you must have at least 20/40 in both eyes and each eye individually. That can mean wearing corrective lenses of some sort. If there is no correction, then you would need a vision waiver before you would be able to drive commercially. Just signal colors, not the numbers. You need to ask this question at your local drivers license department. You are a local school bus driver and may fall under the states rules, not FMCSA. Check with your state first. Each state is different and your state may have a vision waiver for you. If it limits your vision, then yes it will restrict your obtaining a valid medical certificate. You correct to a passing level, but you will need to see peripherally at least to 70 degrees from straight ahead. I have class A licence. I took renewal test failed Dot testing because of colorblind took second test and passed. What will happen next? It should have been reported to the FMCSA as a passed examination and your new medical card should be good to go. If I have a cataract will this keep me from obtaining my CDL permit? I have glaucoma of left eye with 20-40 corrected and 20-20 corrected on right eye. My peripheral vision on glaucoma eye on left is diminished and I failed the 70 degree peripheral. My right eye works very well, my left is mildly hazy. Because of the 70 degree rule, I failed the DOT for school bus driver. It seems odd because all I have to do is move my left eye to the left without moving my head to compensate. My right side is fine. Can I contest this? You might want to check with your local driver license department and see what they have to say. Quick question and I couldn’t find an answer anywhere for it. Can you have 20/20 vision and be color blind? Visual acuity is one thing and color blindness in another issue. Mainly the examiner is looking to determine whether the driver can distinguish traffic signals and road signs. I failed the eye test at a DOT physical location, so I called FMCA, and they told me to go to my local DMV, I spoke to someone there and they said I was eligible for an intrastate waiver and all I needed was to have the clinic doctor check a box on the medical form and bring back to DMV. So I go back to clinic tell him what DMV said and he refuses to check the box and tell me that the DMV is wrong. What can I do, who can help me, my job is a risk, need help asap. The CME is incorrect. I would get the information directly from the state DLD and take it back. If the CME has a problem with that, go somewhere else and get what you need and then file a complaint with the FMCSA regarding this issue. I thought the me who failed me is the only one that can reverse, is that true? Nope, any CME that performs a medical examination can enter the new information into the data base, as long as he can support his decisions. I got the vision waiver and graduated trucking school, have Hazmat,double/triple,tanker endorsements but Werner says I need to 86 that waiver, ..because intrastate won’t get me a career! how were you able to get the waiver without an employer to sponsor you? I passed my DOT exam pending a waiver for monocular vision. 20/100 right eye from infant injury. I’m getting certified under UPS, does it matter if I get a state waiver only if I only plan to drive intrastate or is a federal waiver required? I live in Arkansas. This is a sticky one. Since the materials that you will be handling are considered interstate commerce, you will need a federal vision waiver. I know that you may travel intra-state only, but your packages are considered interstate. Check this with UPS, that their drivers are classified interstate. Federal waiver? I have a vision waiver but no one wants to give me my career I worked so hard to get. If the department of motor vehicle in my state says I can drive with corrective lenses. Why won’t the department of transportation pass me to drive a big rig truck. The state may have different rules and regulation from the FMCSA. So to pass for the FMCSA (big rig) is 20/40 or better with both eyes and in each eye individually. Now that can be with corrective lenses as long as it correctes the eyes to 20/40 or better. Not sure what your state requirements are but now you know what DOT wants. If you fail your vision , will they give you a day or so to get glasses or contacts ? If you think you might fail the vision test, then go get the glasses before you take the exam. You must be able to see at least 20/40 with both eyes and each eye individually. Corrective lenses take a strain off your brain too. Most DOT certified examiners will let you go get glasses then retake only the vision screening test. Already have vision waiver. No company will hire because of intrastate! It’s a local job too! You will need to get a vision waiver from the state or from FMCSA, depending on what type of driving you plan on doing. Can I apply for a class B commercial driver’s license in California if I need glasses (20/20 with, much worse than 20/40 without)? You should have no problems at all. Make sure you have your glasses with you when you take the examination. I need a state of Alabama eye exemption form not one from fmcsa how do I get one??????????? Ask your local Alabama drivers license department. Need some details to answer this question. I have a prostetic eye and perfect vision in the other. My depth perception is normal. How do i go about getting a vision waiver in the state of new york. I would like to attend CDL training school. If you are going to go for an interstate driving position, then go to FMCSA’s website to start the process. If you are going to be driving intra-state only, then check with your local state DLD if more information. Last time checked I was 20/50 would I be disqualified for vision. For a class B non-interstate. Each state is different, so check with your state DLD to make the final determination. Most states want at least 20/40 to drive, but that being said, if you are driving now, then it may qualify for the class B intra-state only. But check with your state to make sure. I am applying for a job that will require a dot physical. I have had limited vision in my right eye due to an accident 30 yrs. ago that damaged optic nerves. The damage was to my center vision and I still have peripheral vision. My left eye is 20/20 corrected with glasses. I have never had a commercial license. The job uses DOT registered vehicles such as straight trucks to haul scissor lifts and Genie-Boons on occasion. I have a clean MVR for regular personal vehicles. The majority of the job will be in standard pick up truck driving. Occasional interstate travel may be required. Can I get an exemption for my vision? You leave out vital information from your question. What driver license class are you and what/ how heavy is the equipment that you will be operating? What’s the vision in the effected eye? Are you driving intra-state or interstate routinely? Based on your license type, will make answers a bit easier. I need to obtain a vision waiver form . Spoke with my eye doctor and was told they do not have any form , that I must obtain the form.Is there a website that I can print one ? To find out more and get the forms go to this FMCSA official webpage. I went to the eye Dr and had an eye exam done recently. The Dr told me i have 20/20 in my left eye, and 20/50 correctable to 20/40 with Amblyopia in my right eye. I’ve ordered glasses could i pass the vision part of the dot physical with glasses on, or do i need to get some kind of visual waiver or exemption? FMCSA requires a vision of 20/40 or better in both eyes and each eye individually. That means 20/40 across the board including corrective lenses (with glasses on), so you should not have issues as long as you correct to 20/40 or better in each eye. First start the process with Texas. From there you will need to go through FMCSA to obtain the vision waiver for a class A driver. It will take a little time, but it’s doable. Once you have the waiver, you will need to have a skills test done every two years, just to make sure that your are still safe as a monocular driver. I see nothing for Washington D.C. where i live i’ve been driving trucks and busses since 1975 . I’ve had eye surgery in the left eye. The eye is still healing in the meantime i had to renew my DOT physical i passed everything except the left eye test. I had to surrender my class A for a regular so i could drive my car. But now they gave me 60 calendar days to get my vision to 20/40 my last exam in January was 20/50. What can i do. My city job has threatened to fire me. Just get your eyes examined before you go to retake the DOT examination. If your eyes are not ready to return to work, then have the eye examiner write a brief note regarding your condition and expected healing time for you, and take it to the DOT examiner and to your employer. You can’t speed up mother nature’s healing time, but the notation should be a big help. I am an admissions and placement rep for a CDL school. One of my students is unable to pass the vision test in his right eye. He has passed his driver’s license test and has no other medical issues. I know we can file a vision waiver, but the wording in the waiver precludes him because he’s not driven a CMV the past 3 years. How do I get someone who has never had a CDL a waiver so he can GET his CDL? Start with the state Driver’s License Department and see what they have to say. Once the state gets involved, they may be able to help you with the DOT paperwork. The same doctor that failed my hearing test also failed my eye test. I went to an eye doctor later that day, and tested 20/20 in one eye and 20/30 in the other eye. Do I need a better doctor? This guy was also a chiropractor. Amazing. So when you go to retest, try somebody else. It’s not about generalizing a profession. It’s the supposed professional, and maybe their role, that you need to look out for. I have only 20/50 in my right eye, corrected, due to corneal scarring from a viral infection. My left is 20/15 corrected. Together I can achieve the 20/40 no problem. I find I was misinformed that all that mattered was the two eyes together. I already have a WIA grant for CDL school and am supposed to start in March. Right now I feel devastated. Can anyone offer me advice or a glimmer of hope? I wanted to drive interstate and am a Chicago, Illinois resident. Somebody has mis-informed you about the vision portion of the test. Class A-interstate driver must have 20/40 or better, either corrected or not, in each eye individually and together. You may want to check into driving intra-state, as the state laws may allow for the visual difference. Or you could check into a vision waiver through the FMCSA. My husband had a brain tumor that was removed on 01/27/2015. It was in a part of his brain that affects the vision. The only part of his vision that is affected is his left side peripheral vision. Today we went for an eye exam & the eye doctor said that he has 70 degree peripheral in his left eye, and normal range in his right eye. My 2 questions 1) what is normal range (what degree is normal? ), as I was also told that I have normal range in both eyes, and what is the degree for him to pass a DOT physical? 70 degrees from straight forward looking to lateral most. Average is in the 90 to 120 degrees. Each eye, individually, must see at least 70 degrees from straight ahead. I worked for the Madison county highway for 16 years had time invested in my retirement and was let go only after passing all written test went in front of a judge in Indianapolis at the Ameriplex center OFF 70 WEST was never told I could get a federal waiver the judge told me there was no way possibale for me to get my c.d.l license do to the fact im blind in one eye………so now I come to find out that’s not true hows come I was lied to I went thru pure hell with my ex employer and I have called back down to indy every year and was always told the same thing WHY?????? Sounds like no one there knows their behind from a hole in the wall. FMCSA has a visual waiver process and lots of drivers have qualified for it. Hi, I’m asking this question for my husband. His certification expires 1/31/15, he fell on the ice and his glasses broke, he has no spare set. Our optician won’t be able to get his new glasses till sometime in February. He’s going for his physical 1/30/15, the facility advised if he fails his vision, the doctor will not even see him, he has to turn in his cdl license which expires 6/18. When I questioned this, then they changed the story and said if he comes back in February with new glasses they can date the certificate in February, not 1/31/15 when it expires. Could you please clarify? Also, he is not working currently. Thanks so much! Unless you are in a state like California, there should not be a major issue. Just go get the glasses first and then go for the DOT examination. The medical card is tied to the CDL so the driver can drive, but it is not tied in such a way as to have to give the CDL up and start all over. By FMCSA regulations he must be able to pass the medical examination to carry a medical certificate. And if he can’t pass the vision test, then he should not be driving now anyhow. You have to maintain a valid medical card to maintain a valid CDL in most states now a days. Thank the Fed for that. Also you should have had your eye examination on a standard snelling chart, so whomever did your examination is at fault for not using the correct chart. So go to your eye doctor and have him perform the eye examination, then take the results back to who ever failed you and get your medical certificate. I’ve had my class A CDL for 9 years now, I have a blind spot in left eye from injury when I was a kid 20+ years ago, I’ve essentially passed the exam by cheating but my job states no CDL your fired, I need to come clean with my doctor as I don’t want to jeopardize his career not to mention my hands are crippling with dupuytrens contracture, should I just accept the fact it’s over with my CDL or do you know of any option I can take? Hi i’m 24 years old and I went to a cvs minute clinic to take my dot physical in Florida. I passed everything on the physical except the vision portion. The examiner temporarily disqualified me due to my vision which needs to be corrected with glasses. The doctor also mentioned that I need to see a specialist and than retest. Does this mean that the dot now has the information that I took the test and failed the vision portion? Can I just go to another testing site?will my first tested attempt be recorded in their system? All you really need to do is get your glasses or corrective lenses and go back to the original examiner and have them confirm that you made the necessary corrections and you’ll be good to go. And, yes, your information was entered into the FMCSA data base. That portion is really immaterial. Once you have shown that you got corrected lenses, the examiner will go back into the FMCSA data base and update the original information input. FMCSA has a website that tracks drivers DOT results, and prevents drivers from “Doctor Shopping” so yes, you have been marked as failed. I am a resident of the state of Florida. I had a cataract removed from my left eye this past August 2014. I now have 20/30 vision in that eye, and it is correctable to 20/20. I have corrected 20/20 vision in my right eye. When I went to get a DOT physical 2 days ago, I was told by the medical examiner about a new law that went into effect this past May. According to him, It requires that every time I have a DOT physical, I now have to have an Optometrist or Ophthalmologist do a complete eye exam before I can be given a DOT Medical card. He also told me I am allowed only 1 year on the card, due to having had cataract surgery. I have had 2 other DOT physicals in the .last 4 months, (since the surgery). At those 2 times my vision was well within the DOT requirements as it still is as well. Both those times the full 2 years were allowed before a new DOT Physical was to be required. Is what this doctor told me in the last 2 days accurate, or is he misinterpreting the law? It’s called CYA on the doctors side. He may be being very cautious about doing a DOT examination so close to your surgery, but the reality is, if you correct to better then 20/40 in each eye then there is no reason to restrict your medical card and there is no law stating such. I have further questions regarding my previous question. 1. You said it was CYA in this doctors case. This Doctor told me there was a new law requiring me to get a complete eye exam EVERYTIME I get another DOT physical. I am curious is it true there is a new law requiring that, or is it just him exercising “CYA.? 2. I have had 3 DOT physicals in the last 4 months. My DOT physicals I had in September and November this year says it is good for 2 years, does this latest one done in December over ride that? Why would you have had three DOT examinations in the past few months? That in and of itself raises questions. FMCSA should be asking questions regarding the need for so many examinations and CME’s putting examination findings on the FMCSA data-base. 2. It would be reasonable that your earlier examinations would override your last physical you had, unless there was reasoning for the last physical to have you re-instated as a driver due to some health related issue that removed you from behind the wheel. Each time a driver has a situation that removes him from behind the wheel, then he must have a new medical examination to determine his medical fitness for duty. But that being said, you are not required to have a complete eye examination each time you have a new DOT examination, just confirmation that you are correctable to 20/40 or better in each eye and both eyes together. The reason for the multiple exams are as follows: I renewed my CDL in July as it was coming due to expire. At that time the state of FL determined I could not drive interstate and limited me to intrastate only. I quickly got cataract surgery and remedied the problem. At the time I was between jobs and my current DOT physical was about to expire, so I had to go get a new DOT physical card. Once the Ophthalmologist gave me the OK to be gone away long enough to run over the road I got an OTR job which required I get a new DOT physical. That job went to hell in a hand basket right off and I resigned. Then I landed a new job and their requirement also was a fresh DOT physical. A lot of trucking companies do that, I do not know why but they want you to go to their Doctor and get a physical. I found it odd the last Doctor limited me to one year after he was the one telling me I had to have another exam by an Optometrist or Ophthalmologist before he would approve me. I went back to my Optometrist and he examined me and filled out the paperwork saying I was good for 2 years and then The DOT physical Doctor ignored that and limited me to 1 year. That made it seem like the Optometrist visit was not needed, I mean he either respects the optometrist’s evaluation or he doesn’t. Personally I would be asking questions regarding the CME’s thought process. He has the right to do what he has done, but why? What other issues is he taking into consideration? There is no regulation regarding this issue, so why the limitation of a one year card, other then to make sure he is keeping an eye on you for some reason, and will that change on your next DOT examination? I just took a DOT Physical last Friday(5th of Dec. 2014). I passed everything but discovered I was partially color blind. I can see the whole color spectrum, but my question is, If I can see all colors, but am red/green minor challenged when trying to see numbers in the charts at the test facilities, is there anything I can do or should I just go look for another job? Color blindness is not an issue with the FMCSA, as long as you can distinguish red, green and amber for traffic signals. There is no additional distinctive testing needed for a color blind driver, unless it creates a problem for you. I want to know more on this. I had a driver with zero ability to distinguish red, green, blue, purple. Isihara failed, fine…. But simple what color is my marker? This other marker? No ability. However, he is driving and likely able to tell me which one lights up (top, bottom) so then why does it even ask on the form? Should I really go out and get a simple red, Amber, green light up toy so he can tell me which light on the box lights up or walk the guy out to the nearest intersection!? The regulation said he has to distinguish the colors, not tell me the top circle is lit, etc. Where do you weigh in? The Isihara is not really required within the FMCSA regs. But the driver must be able to distinguish red, yellow/amber and green. If he is unable to make this basic differentiation, then he does not qualify as a safe class A driver. You do not need anything fancy, just those three colors in any order for the driver to make the distinction for you. There are no new rulings regarding vision. If you have been driving for 35 years and you have been blind all during that time, then keep doing what you are doing. Federal interstate driving has always required a vision waiver to drive interstate. For intra-state, each state is different, but to the best of my knowledge most states made NO new changes to how they would qualify you. I am legally blind in my right eye, have been since birth. It is not correctable even with surgery. Can I get a waiver to drive interstate? Yes. First check with your local Drivers License Department. Then go to the FMCSA website to begin the process of attaining your interstate waiver. Can your right eye be corrected with a corrective lenses? If you can correct with a contact or glasses then you would be qualified. I am blind in my left eye and have been since birth but have good vision in my left eye. Will this disqualify me? I am obtaining my DOT medical card for my Class E endorsement in the state of MO. If this does disqualify me what do i have to do to be able to work around this? The CME should inform you of the visual waiver which will be needed for your situation. See MO DOT Medical Program. Traveling intra-state is less demanding than traveling interstate which has stricter rulings and regulations. So it all depends on what type of driving you will be doing, to determine your needs. Where do I submit the physical documentation to get my medical card? I will need the waiver and have the appointment with my opthamalogist next week. I’m sorry about being clueless, but I’m on my own here and this process is unclear to me. 1. See your opthamologist. Get a report from the opthamologist. 2. Go to a certified medical examiner for a DOT physical exam. Take the opthamology report with you, it’ll be helpful information for the medical examiner. If you qualify for a medical card other than the monocular vision, you may get a medical card with the condition that a vision waiver is needed. 3. Start the vision waiver process. 4. Start driver training if the school will allow, while the vision waiver is in process. If I do fail the eye test portion due to a cataract– what happens? Do they allow me to drive in the meantime until I get the cataract removed? Its borderline right now and my regular eye doctor says we can just monitor it for now, which I’d prefer to do– but I’m concerned about the test in a couple months. Visual acuity must be 20/40 or better in both eyes and each eye individually. That includes using corrective lenses. If you do not pass the eye test due to a cataract, then you don’t get to drive until it’s corrected. Getting different information. A company I was hired with, wants me to get a DOT physical for intrastate driving, no CDL required. The physician says I will need a federal waiver for vision, but the federal vision phone number representative said cause it is intrastate driving onnly they will not do a waiver for intrastate driving, and I need to go thru my state for an exemption. The local DMV has a form I can get filled out from an eye doctor, but the physician completing the physical said the only way to pass the DOT physical is to have the waiver from the FMCSA, and that it doesn’t matter if it is intrastate or interstate driving the requirements for the physical are the same. How do you handle that when the FMCSA won’t do waivers for intrastate driving and the doctor will not take a state DMV approved waiver? Your local doctor is over-reading the DOT examination. Your medical card to drive is only to determine medical fitness for the job. As an intra-state driver all you need is the vision waiver from the state to drive intra-state. I do not have a cdl but want to obtain one. I have monocular vision and know I will need a waiver. My question is about process. Do I go through the training and take the exams first or do I get the medical waiver and then go through training. I’m getting mixed answers from my DMV and my school. Thanks. Most states require that you have a medical card before starting your training. The visual waiver will take a bit of time to acquire and some steps must be gone through first. The medical card will state that a waiver is required. Medical card first, then start process for waiver and training. I have been seeing all kinds of vision questions but none pertain to me. How about an answer about glaucoma. Mine is treated and pressures are well within requirements. 12 in both eyes. Now I have seen two different Dot examiners and both won’t sign off on my dot physical even though I see 20/20 in one eye and 20/15 in the other. My horizontal field of vision is within specification. They both want my eye specialist to tell them I can see well enough to drive. Now my eye specialist says that he won’t sign off that I can drive. He says that if I get into an accident then it could come back on him. I have read the regulation and I see nothing pertaining to my problem, so what am I to do? I can’t keep spending $100 every 3 months to renew my dot physical card. It isn’t fair. So FMCSA wants any driver to pass the vision test with at least 70 degrees of peripheral vision in each eye. Corrected and / or uncorrected eyes must see 20/40 or better using 1. both eyes and 2. each eye individually. Your eye doctor is not being ask to do anything but to confirm your present visual acuity. If you have a visual / eye condition which requires medication, then you need to have your prescribing doctor complete a medical release form explaining what meds and if any restrictions exist. The CME’s job is to determine medical fitness for duty as a CMV operator. The CME needs the medical release form from your prescribing doctor to determine your medical fitness and the eye doctor is only answering the most basic question, is your condition stable, safe and effective? He is not being held at any level of risk. If my Texas intrastate vision waiver is approved and I get the required experience driving a commercial vehicle to apply for the FMSCA vision exemption if it is granted does that overthrow the intrastate Texas restriction and allow me to driver interstate? In most cases FMCSA regulations override state regulations. To pass the class A, drivers medical examination is more strict than most states. Was told I will probably have to get a vision waiver for my Amblyopia. But also have seen exemptions for amblyopia to be able to drive interstate? How long does it normally take to get the waiver to drive intrastate? Do I need experience doing intrastate before I can try for exemption for interstate? I’m trying to start trucking school around October. Most states are a bit more lenient with intra-state drivers. So check with your state regarding that issue. Inter-state is under federal ruling and is more strict. You would have to have a vision waiver, which could take some time to acquire. So it all depends on what type of driving and whether it’s intra or inter-state. So if I stick to intrastate about how long does it take to get the waiver. I’m in texas if that helps any. Start with contacting your State drivers license department for this answer. For federal, check with FMCSA. Here is a link to download the Vision Exemption Package from FMCSA. How often does dot require vision to be tested. Depends how long you qualify for a medical card. Vision is not a separate exam. It’s part of your DOT physical exam. Check with the FMCSA to better answer this question. I believe that a vision exemption is going to be required. Here is a link to download the Vision Exemption Package from FMCSA. I have 20/20 in both eyes but I tend to see double if I move my eyes or head around scanning mirrors and such. There is lots of Floaters in my right eye that does poss a problem from time to time. I can focus back to one image but it’s not stable….will this disqualify me as a class A CDL driver…this has got lots worse since removal of a cataract in my right eye? I need an opinion because I feel it’s time to throw in the towel, I don’t trust what I am seeing, depth preception is crap too. Your gut feeling is the best one to go with on this one. You are not going to be a truly safe operator and you will be questioning every move you make. Also your examiner will probably not qualify you as a safe CMV operator. In this case it’s all about safety and you have made the best decision in this matter. Good Luck. With regards to the floaters and depth perception after cataract removal…… your opthamologist should be able to remove many of the floaters. As for depth perception, he/she should be able to correct that also. If doc (surgeon) isn’t able or willing to correct the floaters etc, get a 2nd opinion from a different opthamologist. I had cataract surgery, and had some floaters that were removed. You keep saying over and over and over and over to check into getting a Federal Vision Exemption if you don’t have 20/40 in both eyes but a monocular vision with one eye that passes but the other that doesn’t. HOW? Who do I contact? What address or website? It is one thing to say contact someone but something else if you don’t tell us how to? I live in Illinois in Will County. Where do I go, who do I write, what do I do? Google FMCSA monocular vision exemption program and you will find what you are looking for. I have a qustion about a hernia. I have a hernia on my right groin area. At times it bulges out other times it doesn’t I have had this for a long time and does not hurt or bother me in any way, can this keep me from passing my dot physical. Thanks in advance! If the hernia is not problematic and you have dealt with this for years then there should be no problems. I recently took my physical for dot and passed everything. However because I were monovision contacts I have to apply for a waiver. If I have 20/40 in each eye and in both together why is this an issue and why is having monovision contacts an issue in the first place. You brought this upon yourself. Monocular visual setups are disqualifiers for interstate drivers, according to FMCSA. Just go in with a set of lens that allow you to pass without the monocular vision setup and you’ll pass without any problems. The monovision disqualifier is an FMCSA regulation. See the FAQ at the top of this page. It’s important to understand, and it seems that people who have monocular lasik will have problems. Hopefully yours is just a matter of changing lenses or getting prescription glasses. Good luck. Hi, I live in Alabama and I am legally blind in my left eye from an uncorrectable injury as an infant, 20/200 vision and 20/20 in my right eye. I was able to get my regular drivers license years ago with no problem, then I took a DOT physical a little while back and did not pass it because of my vision. I do not want to be a truck driver, but rather a selector in a winn-dixie warehouse. A selector there operates an electric pallet jack that carries 4500 pounds or more , which OSHA ruled recently that the selectors must have a CDL license to operate those machines. Since I would not be performing as an “over-the-road” truck driver, would a medical clearance stating that I can perform those without accomidation enable me to pass the DOT physical and get my CDL license? Please respond as soon as possible. Preferrably by email if possible. Thank you. On second thought, responding on this site is fine. Check with Alabama DLD. You should be able to pass as an intra-state only, non commercial operator. That would get your medical card, with your restrictions listed. Then the state DLD will provide you with a vision exemption, if needed. Good Luck. Ok… Two part question. Do I need to get federal exemption for vision before my medical card runs out and assuming I got the federal exemption how long would it last? Not knowing what the eye condition is, I can’t really answer your question. In general, most of the exemptions are for two years and the medical card for one, depending on the condition. 20/15 an 20/20 in the other eye is that still passing??? Yes, that is better than most folks and you would pass with flying colors. I have monocular vision in one eye. My other eye is 20/20. I went to the optometrist and medical examiner and the medical examiner said I would need to get a federal vision exemption. I went to the DMV in California and told them I wanted a intrastate commercial license only. DMV denied my application and said it was because of the MD monocular vision report and I should look into getting an exemption from the Federal. My question is will I be approved for an exemption or have anyone heard of other drivers receiving a federal vision exemption for monocular vision? Once you have the waiver from the federal government you should not have any real problems. You will have to have a skills test done once you have the waiver and are ready to start driving. I was diagnosed with a kidney disease in 2012. A side effect of the disease was high blood pressure. Before we caught it, it had damaged the nerves in my right eye and I lost 40% vision in my right eye. I cannot correct this with glasses or contacts. Can I pass a DOT vision test with my vision issues? You don’t give me enough information as to what your present eye sight is, but even if you are blind in one eye you could still drive. It would require a vision waiver from the FMCSA/DOT. Or you might check with your state about driving as an intra-state driver. Each state has its own rules and regs on this issue. I wear bi-focal contact lenses . My vision is 20/40. I cannot read a WALL chart at 20 ft as required. My eye Dr. says my employers testing facility has to use the eye machine. Is this true? By FMCSA rules, you should be able to read a wall chart at 20 feet and have vision of 20/40 or better with both eyes and each eye individually. And that can be with a corrective lens. I would make sure the vision portion of the DOT examination is completed by your eye doctor. That covers everybody’s bases. Can I have an in state medical card in the state of Tn? and what is the eye exam requirments for this? Hard to say. If they follow FMCSA it is 20/40 in both eyes and 20/40 in each eye. That can be done with corrective lenses or without correction. Here in Utah you could have special limitations as long as you are driving intra-state only. So check with your state DMV to answer your specific questions. I can not pass the federal eye exam requirments. My question is can I get an instate only medical card for the state of Tn? Can you wear bifocal glasses? Yes, as long as you correct to 20/40 in each eye, and with both eyes together. Can you file an application for vision exemption in Arkansas if you hold a CDL with a passenger (city transit driver) endorsement? You would have to check with the state of Arkansas regarding this issue. CAN A DRIVER WHO HAS MONOCULAR VISION BE CERTIFIED FOR INTRASTATE (NEVADA) WITHOUT THE VISION EXEMPTION WAIVER AND FOR 1 OR 2 YEARS CERT. Not sure about intra-state within NV. I do know that in Utah a monocular vision driver can operate a commercial vehicle, without a waiver, as long as it is intra-state only. Check with your state DMV for specifics. I have diabetes which is controlled by oral medicine. Do I have to have an exam/paperwork from an ophthalmologist to give the DOT medical examiner to obtain my medical card now? Or is a regular optician exam sufficient? If you are having any difficulty with your vision, then get your ophthalmologist to fill out the visual portion of the DOT medical exam. You should not need a waiver or exemption for this. In most cases, if you are not having any problems, you can have the DOT examiner do the eye test and have to difficulties. My husband passed his DOT with flying colors 3yrs ago. Since then, we’ve found out he has diabetes type2. Due to his medication he has developed a color defiency and failed 4 out of the 8 color/vision questions. Will they allow him to wear prescribed tinted lenses (which have allowed him to see all colors thru them) to pass the exam? What DOT is looking for is the ability to distinguish between red, yellow, and green. There’s no other color test that is a part of the medical exam. So the use of a prescribed lens should be just fine. I passed all the medical tests and recieved my DOT card without any issues. When I went to the TX licensing to take my tests I failed the eye test there. They have given me a waiver to apply for — so will I lose my DOT. I have 20/40 in both and 20/40 in right and 20/100 in left since childhood. Am I still going to be able to get my CDL? Is there a way to get around this since I have already got my medical card? You should not have been given a medical card without having the examiners explanation as to what it means to you. So here is where you are. You passed the exam and you can now apply for the visual waiver from FMCSA. But your medical card is only good with the exemption waiver in hand. And there’s no way around it. It is doable, just takes a little time. Good luck. Where can you find an eye doctor that does the vision waivers in Arkansas or Oklahoma ? All the ones my ex has called doesn’t know what he is talking about and won’t do one. You must first request the basic information from FMCSA. No one has this form on hand. So, check with FMCSA and then follow the instructions. Good Luck. It will take a little time, but is very do-able. Maybe this answers my question? I have to take the DOT Physical to get a taxi license. I was born with Amblyopia in my left eye. It is all I have ever known and next week I will have had my operators license for 44 years. The only requirement is that I have outside mirrors, both sides. I am going to get glasses this week before the physical. Someone that I talked to at the taxi company said she thought they weren’t as picky on vision for taxi drivers. Any opinion or avice? FMCSA and DOT require that a driver have a minimum of 20/40 vision in each eye as well as 20/40 with the use of both eyes. That can be with out correction or with correction. Also the driver needs to have at least a 70 degree lateral vision. These rules are for the Medical card for a class A driver. I would check with your state to see if you will qualify as a taxi driver with a limited lateral vision. You are not driving an 80 ft. long truck and each state has a slightly different requirement for non over the road driver, based on their driver class. Last week I took my dot physical I passed everything but the vision I’m getting glasses in 7 days do I have to retake the whole physical again or just the eye test. You’ll need to take just the eye test, if everything else was in order when you took the physical. I am a bread driver none cdl. do i have to pass the color test. dot wants me to see a I doctor. I am a non cdl driver. You fall under the states variances for a commercial driver, so check with your local drivers license department to confirm the need to determine red, yellow and green. Yesterday Jan. 14th 2014 I took the written test to get my cdl learners permit at the Pewaukee Wis. DMV. I passed the first test with a score of 82 and the second test with a score of 100. When I took my vision test the examiner that administered the test told me that my vision was 20/40 in my left eye with my glasses on, and that 20/20 was required to get a cdl learners permit. This seems to contridict the information that I am seeing on this website. On the visual acuity examination you must be 20/40 in each eye and both eyes together. That can be done with or without corrective lenses, but 20/40 with corrective lenses is within the normal DOT/ FMCSA parameters. Whomever told you, you must correct to 20/20, is incorrect. Here is the official link to the rule/regulation from FMCSA – See 391.41 (b)(10).